Explore job opportunities at vivo Technologies Sdn. Bhd. We (VIVO) offer a young, energetic and fun working environment. Unlimited growth prospect awaits the willing, self-motivated and aspiring employees who wish to grow along with a growing company in a booming and competitive industry. We are centrally located, with surrounding amenities like banks, restaurants, food stalls, convenience stores, etc within a short walking distance. Short walking distance to Bus Stop, shopping malls & LRT station. We focus on promoting internally as a reward/motivation for our staff to perform well. 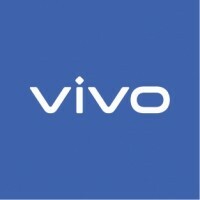 Like vivo Technologies Sdn. Bhd. All jobs at vivo Technologies Sdn. Bhd.